Father's Day Flowers Delivery in Mumbai. 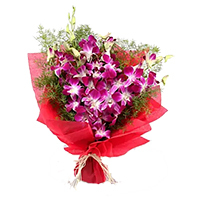 Mumbai Online Gifts presents a range of Flowers Bouquet to Mumbai. 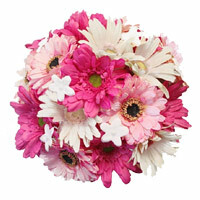 Send fresh Flowers Bouquet to Mumbai by placing order with Mumbai Online Gifts. Father's Day is recognized worldwide as an opportunity for children to pay homage to the love, effort and care which fathers bestow upon their children. Children are blessed to receive the unconditional devotion of their Fathers Day Flowers to Mumbai, so on Father's day, it is a day to give back some of that unconditional love. When looking for the perfect present to give to Dad. Online shopping can be a true blessing for a busy individual. It saves time and is generally quite cost effective. Flower is lovely even the most mechanical human being will not ignore the aesthetic appeal of a flower. Love of flowers has led human beings to adorn almost every flower with some symbolic attribution. The result is that no human celebration, whether private or personal, achieves perfection without flowers. 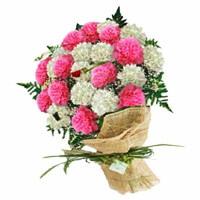 You Can Send Online flowers to Mumbai for expressing some emotion or feeling On Father's Day. Get in touch with Dad's softer side and match the flowers or plant to Dad and watch him blush with appreciation. Forget about the same old standby gifts, instead consider the following fresh cut flower and plant options. There are tons of choices available with prices from modest to extravagant. Selection of right flower truly reveals or conveys that feeling. But your busy schedule does not allow you to go to nursery or garden personally and pick up flowers for a particular purpose. Don't worry; you do not need to do this as there are people who provide flower delivery service to people like you. Only putting an order from your part will be enough. They will deliver the ordered flowers on the time and at the place you want. Go ahead and give the unexpected gift of fresh cut flowers or plants this year. We Deliver the orders placed by you to send Flowers and Father's Day flowers to All over Mumbai. The Aggregate Rating of this Webpage is 4.38 Out of 5 Based on Rating Received from 59 Customers.